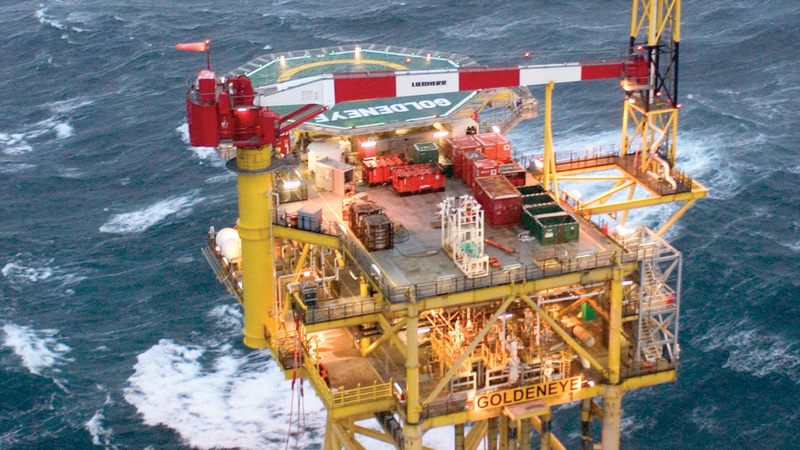 Goldeneye is a gas and condensate field lying 81 miles north-east of Aberdeen. The field produced from 2004 to 2011 and was served by a normally unattended installation with a 1,400-tonne topside. Goldeneye was developed with five platform wells and a tie-back to the St Fergus onshore facility. Shell intends to fully remove the topside and jacket and bury some of the pipelines. The Goldeneye platform and pipeline were studied as part of a carbon capture and storage project, with carbon dioxide to come from Peterhead Power Station. But in November 2015 the UK Government withdrew £1 billion worth of funding for the project, leaving Shell to come up with decommissioning plans. The programme will be handed in to the UK Department for Business, Energy and Industrial Strategy, according to a public notice in The Press and Journal. The Goldeneye platform also supported the Atlantic & Cromarty (A&C) field until 2012, at which stage the A&C systems were made safe, ready for decommissioning.